Thai cooking places emphasis on attention to detail for an excellent overall look and taste, combined with a focus on including ingredients that add health benefits. Dishes are typically prepared with strong aromatic components and spice. 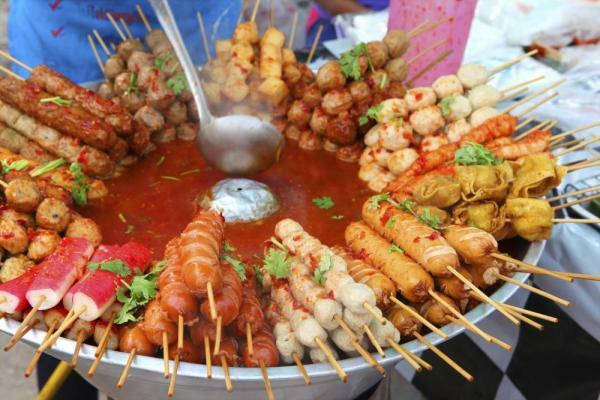 A mix of various tastes are usually combined in each dish including salty, sweet, tangy, bitter, spicy, and sour. 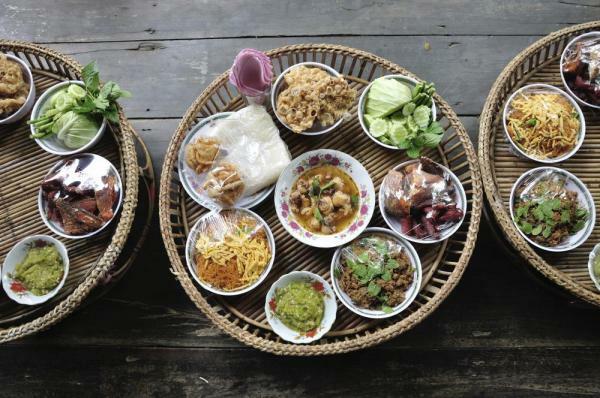 In Thai cuisine, rice is used as the main starch and is served along with almost every meal. Rice also provides the base for noodles, desserts, and other dishes. 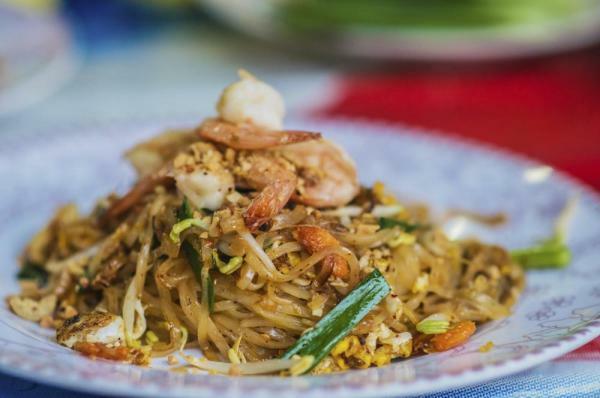 Some of the dishes and styles for which Thai cuisine has obtained worldwide notoriety include Pad Thai, tom yum soup, Massaman curry, green curry, fried rice, and papaya salad. 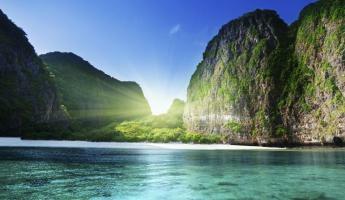 Some variation does exist between the four regions within Thailand. For example, southern Thai cuisine tends to use liberal amounts of coconut milk. Sticky rice is more commonly eaten in northern Thailand. 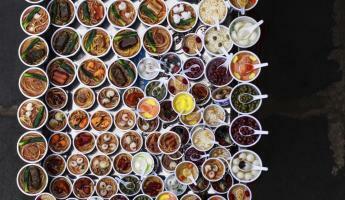 No matter the region, at every meal there is a variety of sauces is typically served. Nam Prik, a popular curry chili paste condiment, has many varieties throughout Thailand. Various vegetables and meats are also used in dishes, and meals are commonly served family style with rice to be shared amongst the members of the party. Food was traditionally eaten with the right hand while sitting at low-lying tables on the floor. With the introduction of western culture, currently Thais sit in chairs at a regular height table and eat with an oversized spoon used on the tip of an accompanying fork for twirling noodles. Chopsticks are foreign objects for all except Thai Chinese.